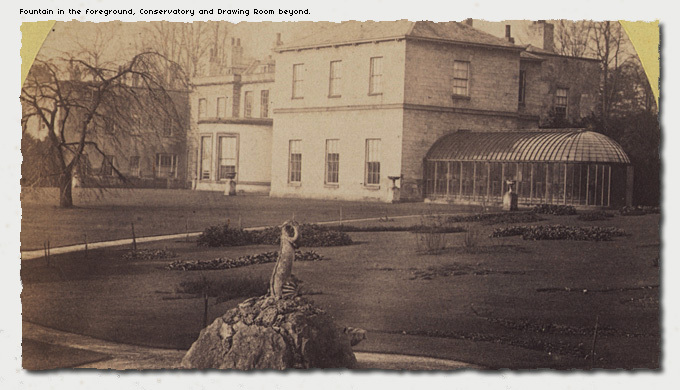 Parlington Hall :: Stereo photos :: Drawing Rooom & Conservatory. 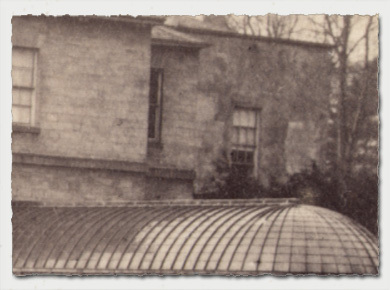 The picture above is one of the most commonly seen views of Parlington, however as the stereo images are from around 1860, it is the oldest known shot from that view point. 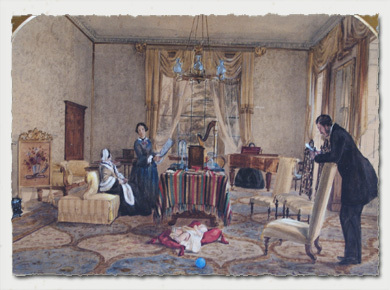 The conservatory must be around ten years old then, as a recently discovered painting from 1852 showing a family scene inside the Drawing Room featuring the infant Richard only son of Frederick and Isabella, clearly shows the wall that connects the conservatory to the Drawing Room with only a window, not the later doorway through to the Conservatory. The painting was discovered as a result of a reader finding the Parlington web site, it has been purchased by Leeds City Council and after restoration will be on display at Lotherton Hall. 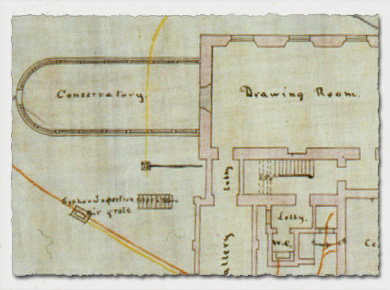 The picture is used with the permission of Leeds Museum & Galleries, Lotherton Hall. 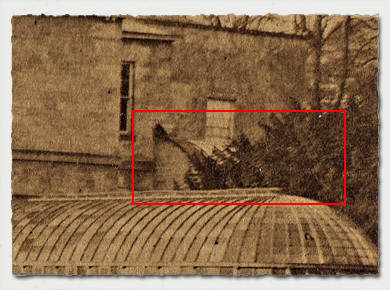 The stereo photograph has revealed that the Picture Gallery which connected the Drawing Room via a lobby to the Fernery had not been built, [this is a different Gallery from that described in the previous page the roof of which could be seen on the Entrance Porch photograph].